UltraPulse®. The gold standard for CO2 scar laser treatment. new laser aesthetic market. Though this initial invention of skin resurfacing was for the improvement in wrinkles it was in 2009 that the laser was discovered and developed for the improvement of scars. Diligent research discovered and optimized the technology to release the UltraPulse® SCAARFX™ deep fractional resurfacing modality to offer dramatic improvement in severe scars while being minimally invasive. UltraPulse® SCAARFX™ creates a pattern of small microscopic channels that break down the stiffness of the scar and triggers production of restored tissue representing normal skin. The result is deep dermal regeneration that dramatically improves the elasticity and appearance of your scar back toward normal skin. 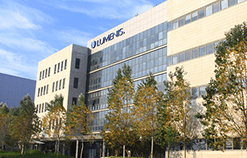 The unique power and precision of the Lumenis® SCAARFX™ technology enables your physician to customize treatments from small to the most severe scars, with optimal comfort and healing time. 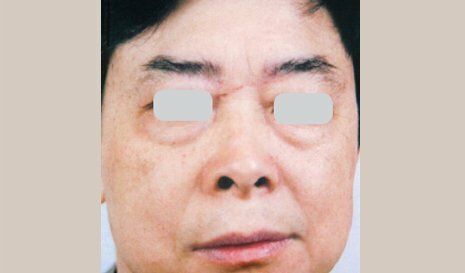 flattening of the scar, the reduction of vascularity or redness, and a return toward a more blended appearance can be observed. 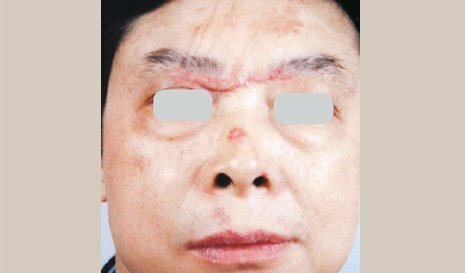 Clinical evidence of these outcomes are justified in the multiple scientific and clinical articles of this procedure making it the most researched laser for scar revision since its invention 2009. UltraPulse® SCAARFX™ was included as a recommended standard of care for scars by European guidelines, and by top United States physicians in an American Academy of Dermatology consensus paper. Since its introduction, the UltraPulse® platform has improved the quality of care and life for scar patients all over the world. Early adoption of the technology by the United States Military has placed this laser in multiple key Military Hospitals to help their Wounded Warriors, in Veteran Affair Hospitals to help our enduring veterans, and in world class burn centers and private offices to help the civilian burn survivors. The innovative UltraPulse® SCAARFX™ technology is has been used in many humanitarian missions, to treat wounded warriors and war survivors, including Kim Phuc, a survivor of the Vietnam War bombing, also recognized as “The Girl in the Picture.”, survivors of domestic violence involving acid burns, survivors of injuries suffered from natural disasters like earthquakes, as well as survivors of other domestic fire accidents. The wide exposure of SCAARFX™ is only a testament to it ability in this new paradigm in treatment for the burn survivor. The physician will start with a thorough examination of your scars in order to determine the best treatment solution and explain about the treatment process. 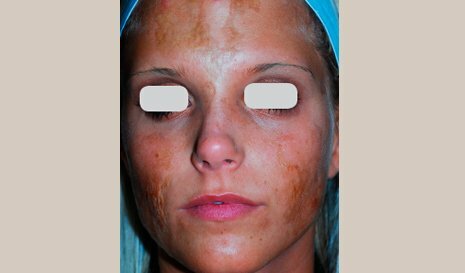 Immediately following treatment, your skin will be warm, red and swollen to varying degrees. Most patients are able to resume their daily activities within a week. Daily skincare and possible scar dressing might be added to enhance the healing process. Treatment time may vary depending on the affected scar surface. Customized anesthesia will be applied prior to treatment. During the treatment you may feel a short lasting warm and stinging sensation as the laser is applied. In some cases, as per the severity and characteristics of the scar, some pain might be unavoidable. SCAARFX™ is designed to reach the required scar depth. Therefore, dramatic results can be achieved relatively quickly and in a minimally-invasive manner. A major improvement in elasticity and softness is often achieved after the first treatment. 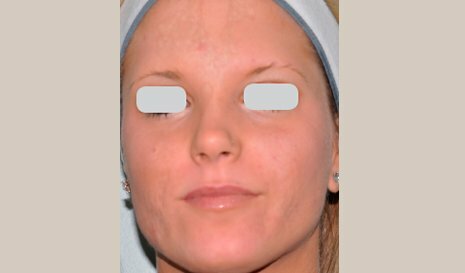 Depending on the characteristics of the scar, on the average it may take 3-5 treatments to achieve major cosmetic and functional improvements. You should expect to continue to see improvement over time, even after the last treatment procedure was performed. "I am treating traumatic scars with UltraPulse® and find the results exceptionally rewarding… Range of motion and contraction both improve immediately after the first procedure. Since new collagen deposition has started, results continue to improve over time. We experience both immediate and long-term improvement." 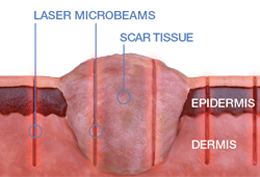 "The UltraPulse SCAAR FX is the only laser in the world that is so effective for burn scars." "For years we believed nothing could be done for heavy traumatic scars, but seeing them now with such improved mobility and texture after treatment with the UltraPulse is the happiest thing a doctor could wish for."